Have you been over at Serena's (aka The Farm Chicks) blog? 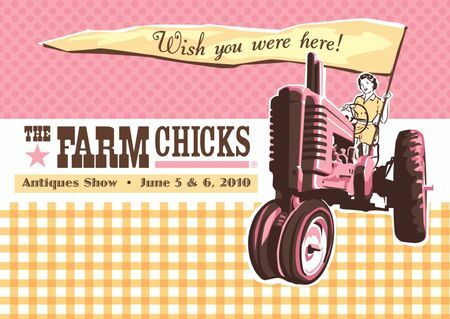 She just put up her adorable new flyers for this year's Farm Chicks Show in June and they are adorable! 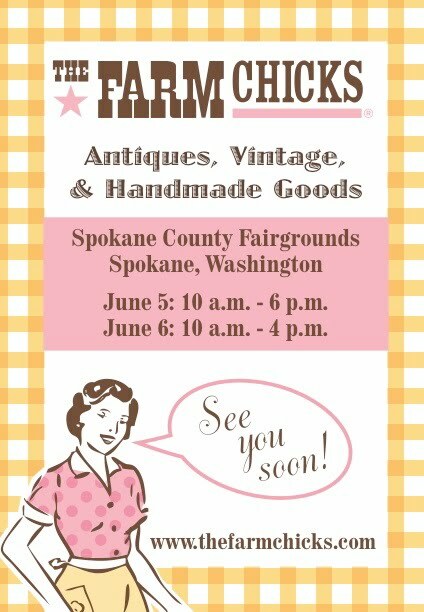 I'm so excited for the show this year for several reasons and the main one is that I won't be 8 months pregnant trying to lug furniture around! The Farm Chicks excitment is in the air. Oh my gosh! I wish I could go. One day I will for sure. For now I will just have to live vicariously through you!